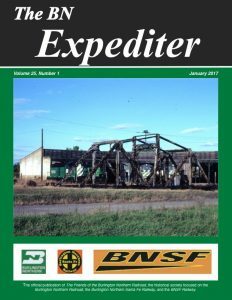 An interview with Paul Brittain who worked for the BN in its earliest days around Eola, Illinois. 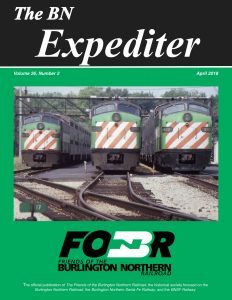 He shares his experiences of being hired, working as a switchman in the yard and on various way freights to Savannah and Streator, Illinois. A photo record of BN’s crossing of the Union Pacific in Grand Island, Nebraska. Photos from before the new flyover, the year it was constructed, and now. A photo record of coal train action near Reno Jct, Wyoming, with Cascade green, Grinstein and Oakway power. The main was still 2 tracks, but was in the process of being expanded to 3. David Burns, Division Superintendent of the Denver Division in 1979-81 recalls his experience. Includes a map of the rail lines in the division at the time and photos of Denver roundhouse area, Denver Union Station passenger tracks, the Hastings, Nebraska station, and various trains around the division. 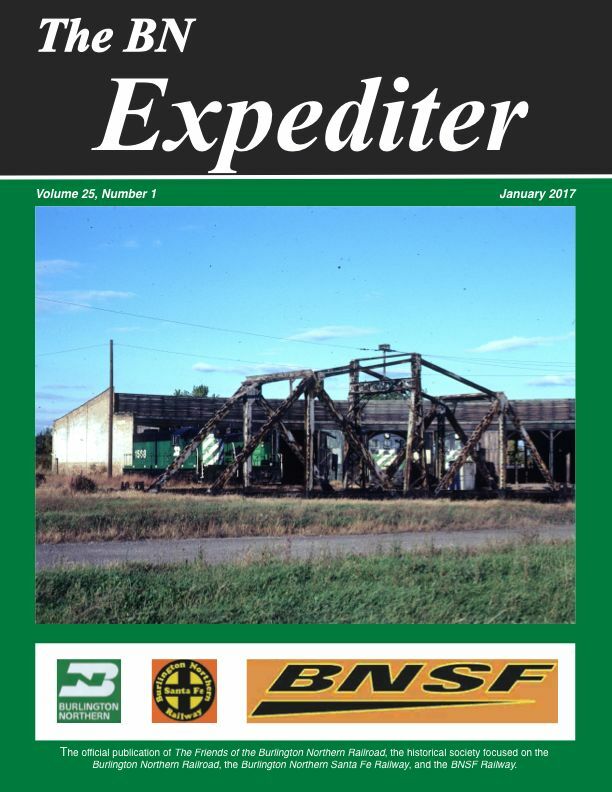 A short article about BNSF in the area. 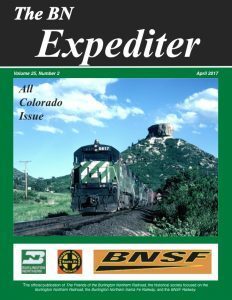 Includes an annotated map of the BNSF trackage and facilities in the Denver area and various photos of BNSF trains around the Front Range. 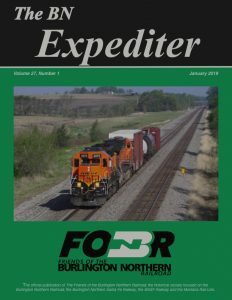 A personal story about working as a crew hauler for BNSF (and UP) in Texas. Photos of roof detail on a BN SD40-2. 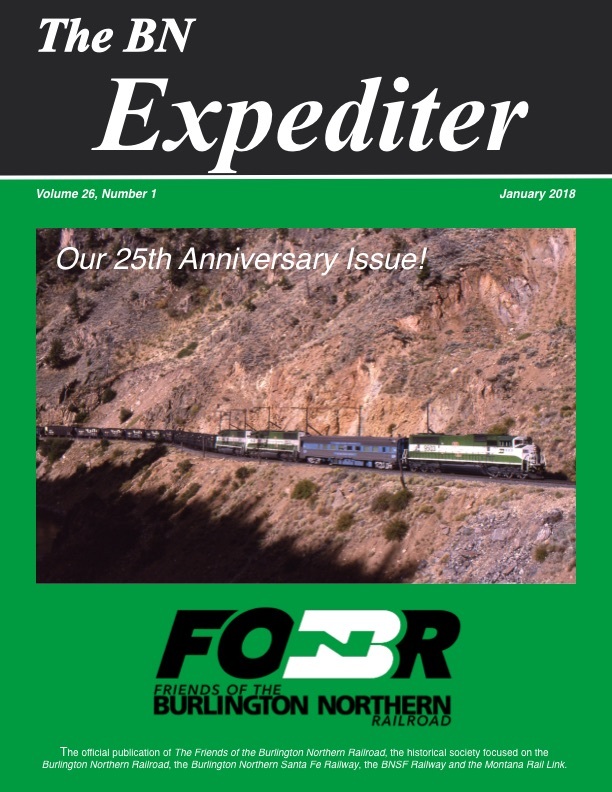 A short article about BN’s locomotive-related activities in 1989, including the first purchase of SD60Ms, BN’s extensive GP39M/E/V rebuild program, and units leaving the roster. Many pictures of relavant units are included. 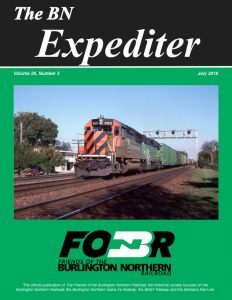 A long article, with photos, diagrams, data, and some example pages from an SD60M operators manual. A report on our 2017 convention in the Denver, Colorado area, with a few photos. An update on the on-going expansion of the Cherokee Yard in Tulsa, Oklahoma, with a yard schematic and a few photos. The next installment of Dave Burns’ articles about his experience in management on the BN, this time in the Transportation Department at BN’s headquarters in St. Paul. A photo tour of the ex-Milwaukee Road trackage from Terry to Mobridge. A photo sampler of 11 flatcars and loads from a military train passing through Minneapolis, Minnesota. John Adams recalls the formation and 25 years of history of the FOBNR. A 4-page reprint of what started it all, Volume 1 Number 1, put together by Dave Casdorph in 1991. 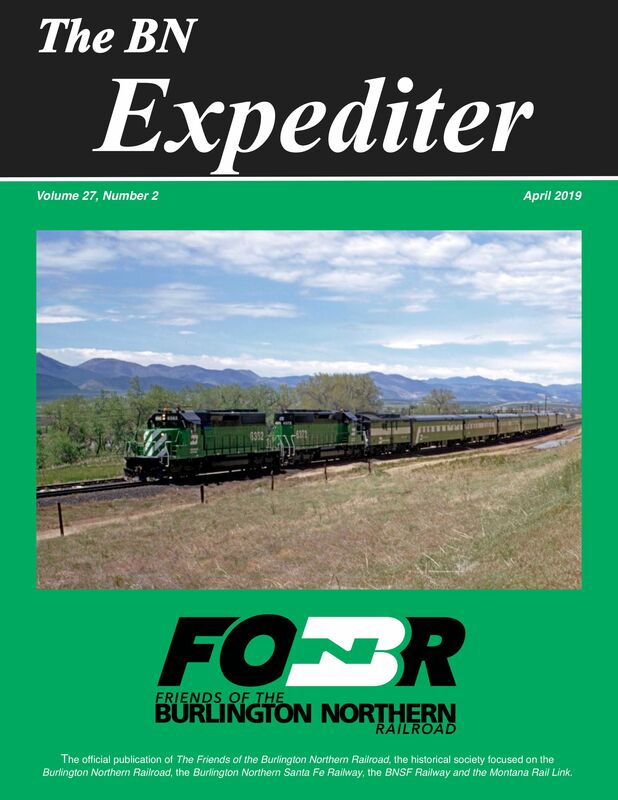 A short article, with a few photos along Montana Rail Link trackage, explaining that the FOBNR is expanding its coverage to include the MRL. Gary, a BN and BNSF employee from 1977 through 2015, tells his story of working as a hostler, fireman and engineer in the first of 2 parts. Includes a few historical photos. A short article with photos of the roof detail of a BN NW2 and SDP40. A 4-page reprint the second issue, Volume 1 Number 2, put together by Dave Casdorph in 1991. 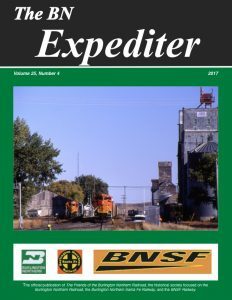 A 4-page description of BNSF’s earliest right-of-way, now an industrial track, with photos of how it looks today versus how it looked in the early 1980’s. A personal story of working the local switch jobs on the West Chicago line in the mid to late 1970’s. Gary, a BN and BNSF employee from 1977 through 2015, tells his story of working as a hostler, fireman and engineer in the second of 2 parts. Includes a few historical photos. An 8-page reprint the third issue, Volume 1 Number 3, put together by Dave Casdorph in 1991. A long article about BN’s process of acquiring, maintaining and eventually disposing of it fleet of GP50’s. 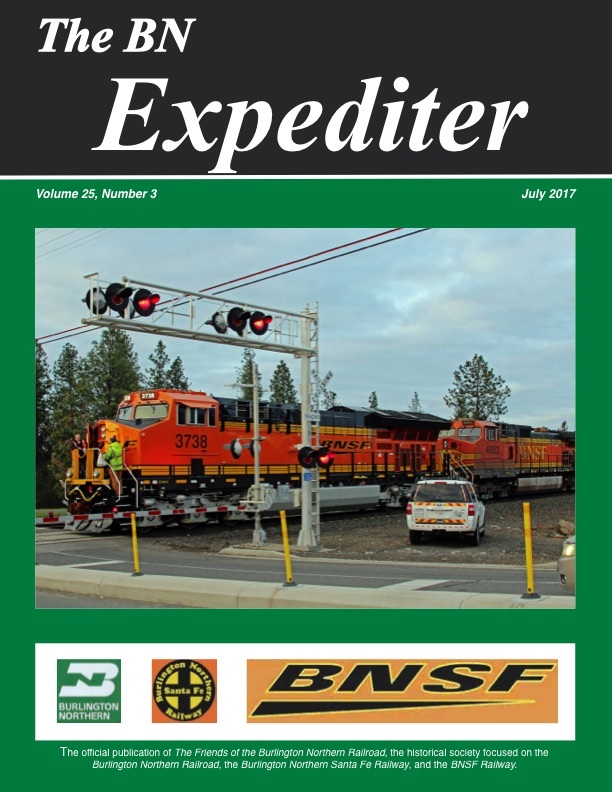 Includes many photos, data, and a complete roster, including dispositions and units still on the BNSF roster. A short photo-montage of a few BNSF coal trains at various locations on the Montana Rail Link, including Logan, Plains, Austin, between Toston and Trident, and on Bozeman Pass. A 4-page reprint the fourth and last issue, Volume 1 Number 4, put together by Dave Casdorph in 1992. The next installment of Dave Burns’ articles about his experience in management on the BN, this time in the launching of BN’s Intermodal Business Unit (IBU) and the early days of intermodal shipping on the BN, including BN America and BN’s Expediter service. Photos of all ten different city graphic designs that graced the sides of these unique trailers. Overhead views of BN’s C30-7 5500 and F45 6635 showing lots of roof details. Four photos of restored ex-BN A4-D gang car #1209. Answering the question: What is the current status of BN F45 #6644? Overhead views of BN’s GP-7 1412 and B30-7A 4037 showing lots of roof details. An article about an interesting branch line with lots of photos. 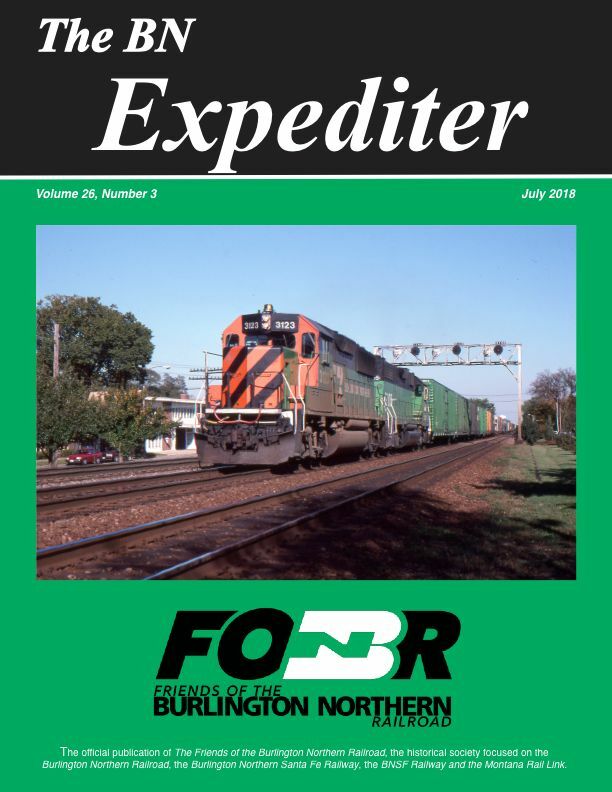 The history of one of BN’s most popular diesel locomotives, with roster information and photos. 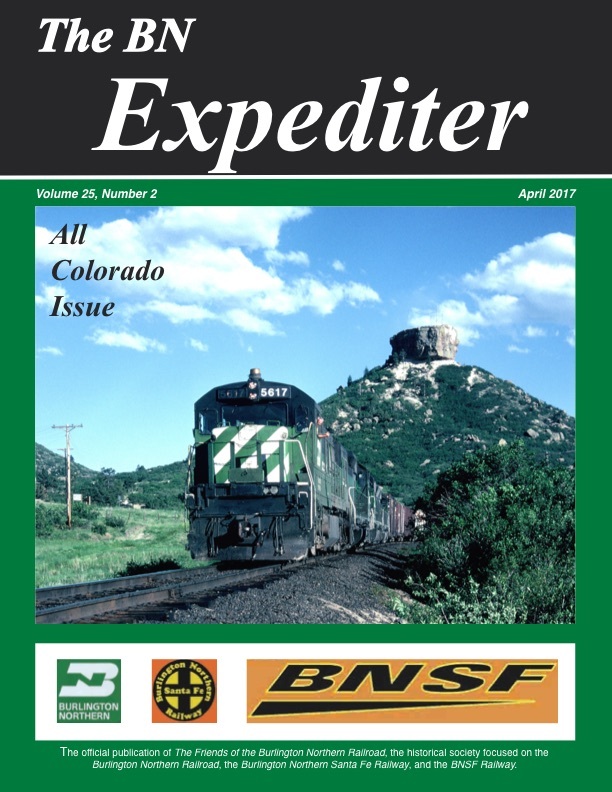 Part 1 covers BN’s and AT&SF’s unit, part 2 will cover the units in the BNSF era. Overhead views of SD70ACe’s, showing lots of roof details. Wes hired on with the CB&Q in 1962 and had a long career, mostly in diesel maintenance, with the Q, BN and BNSF. He chronicles his experiences in and around the Denver area in part 1, and will cover his move to Lincoln in part 2. Includes a few historical photos. 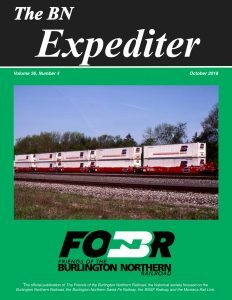 The history of one of BN’s most popular diesel locomotives, with roster information, dispositions and photos. 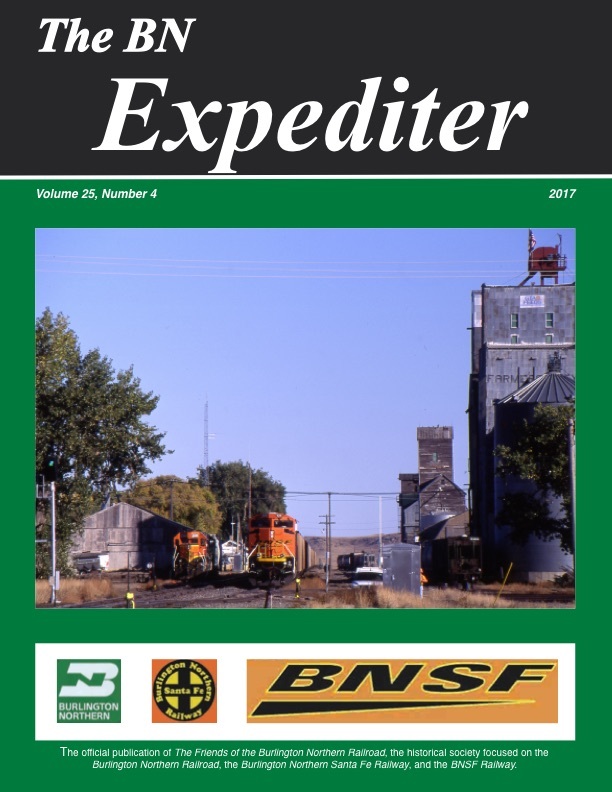 Part 2 covers the units in the BNSF era.